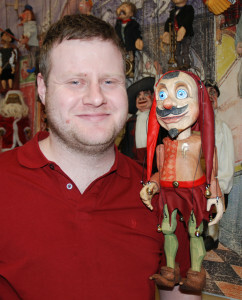 Marionety Truhlář company organizes bespoke marionette carving workshop throughout Europe and overseas. 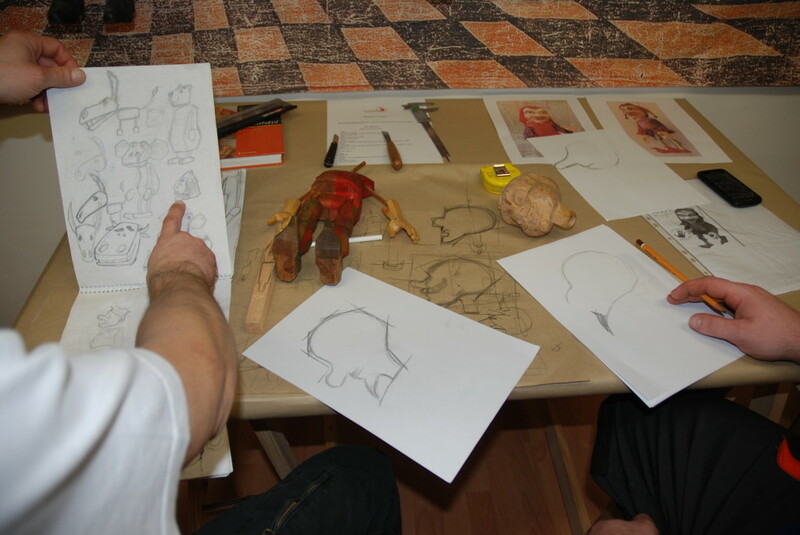 Course is led by two professional puppet makers Martin Růžička and Pavel Truhlář, masters with the rich experience in the field of puppetry. Beside marionette carving, they are also both involved with Teatro Truhla, the puppet ensemble.Martin and Pavel may travel to you, your hometown and set up a proper working space in order to run workshop. They will provide you with all necessary material (linden wood, paint, leather, fabrics..etc) plus workshop equipment (band saw, drill, carving chisels and other tools, carving workbench). 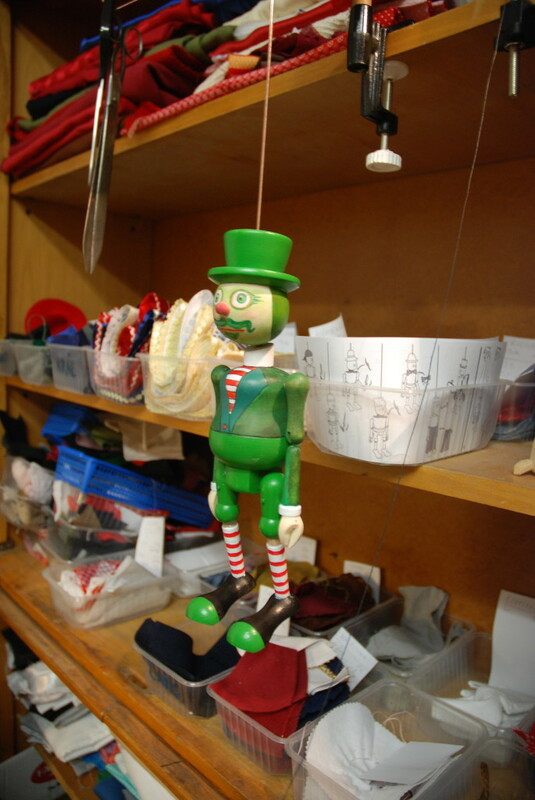 The workshop will give students the rare opportunity to spend intensive creative 8 days of learning how to create a marionette from start to finish. 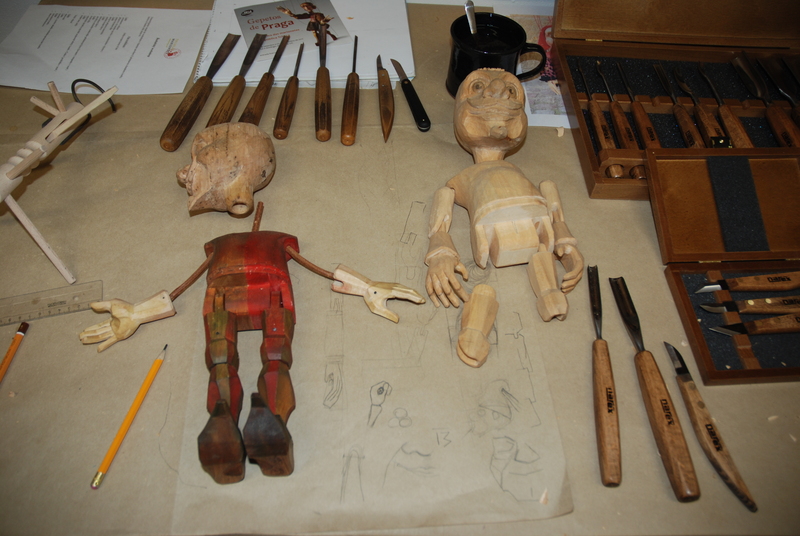 In the beginning just a raw piece of wood and then at the end desired marionette which you play with. 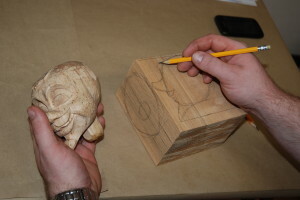 We will go together through visual design – technical drawing (puppet technology), preparing material and tools, woodcarving, painting, assembling along with the controller and yet costume making. We will string the puppet in the proper way to achieve the best marionette movement, we will learn how to manipulate the puppet, together we will look for a puppet motion expression of basic human emotions and last but not least we will get participants ready to step out and perform with the marionette in the theater and outdoors. This is an our idea, the way how we see the workshop done, but whether you would like to have it in slightly different way, just tell us , we can work it out. We are creative, open to anything. 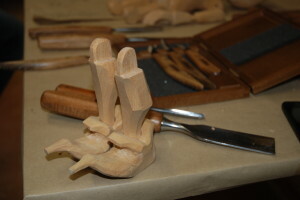 Students will work approx. from 10 am to 6 pm, having 2 hours lunch break (according to individual abilities and needs). Each day we will finish with the puppet manipulation (we bring different styles of marionettes to practice with) in order for students by the end of the course to operate easily their marionette. 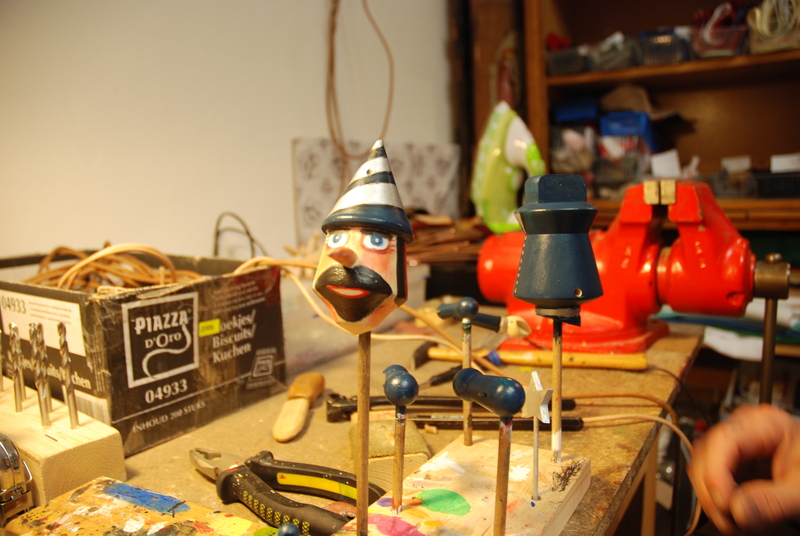 In course of this workshop, each participant will – under our supervision and with our assistance – carve out, paint, assemble and hang their own wooden marionette and they will learn how to manipulate it. 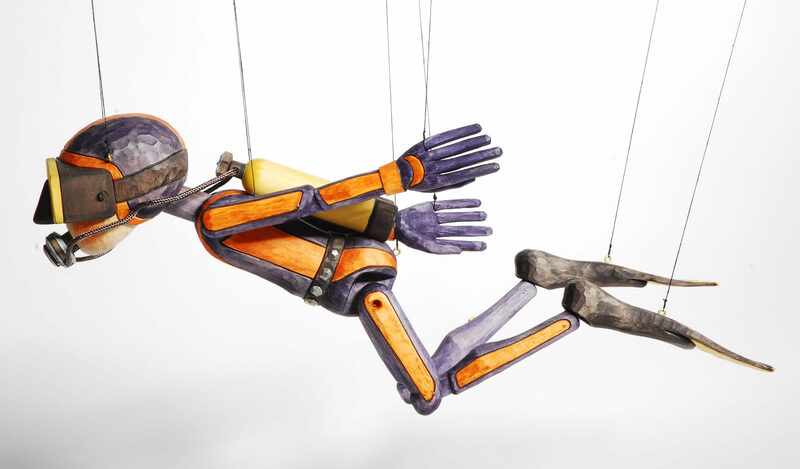 In course of this workshop, each participant will – under our supervision and with our assistance – carve out, paint, assemble and hang their own wooden marionette from pre-cut pieces and they will learn how to manipulate it. Vi anbefaler å delta på workshop med din egen idé, design eller karakter av dukken som du ønsker å gjøre. Den best å konsultere dukketeater design via e-post før workshopen starter. (Prisen inkluderer alle nødvendige materialer og tilbehør). Every participant obtains a certificate of successful completion of the course. What else do you get? 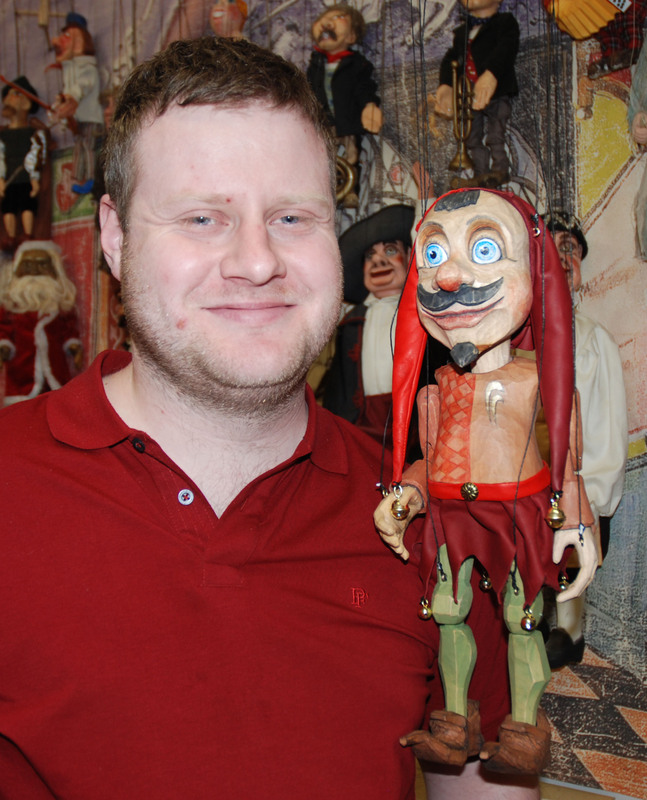 Rich additional experience and advice in the field of puppetry plus an insight into Czech puppetry history. In case of an extra requirements and ins and outs of the course just get in touch with us!